The much-awaited Southwest Monsoon arrived over Delhi NCR on June 28, a day before its normal onset date. The arrival of Monsoon was followed by some good rains over the city. As on June 27, Safdarjung Observatory recorded 20 mm of rains, while Palam Observatory witnessed good rains to the tune of 33 mm. Rains brought cheers for Delhiites who were waiting for some good spell of rains for quite a long time. 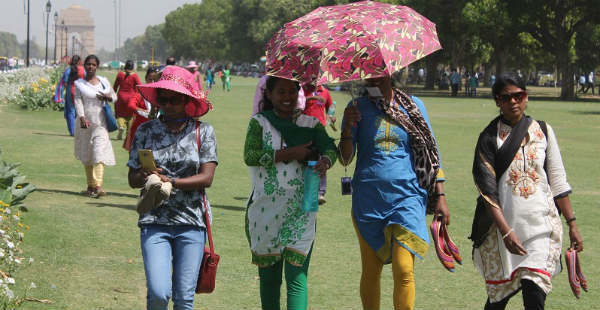 Delhi had been battling with dry and hot weather conditions for last many days. However, these rains dipped the temperatures and from 44 degrees Celsius on June 25, the mercury levels settled near 38 degrees Celsius on June 28. This further dropped to 34 degrees Celsius on June 29. Thus, within the span of four days, the mercury levels saw a drop by ten degrees. Thereafter, the rains reduced over the national capital and since then, Delhi and its adjoining Noida, Gurugram, Faridabad, and Ghaziabad have just been receiving some on and off light spells. On the past day also, Delhi and NCR experienced some dust storm and thunderstorm during the afternoon hours. Delhi’s Palam Observatory recorded 0.2 mm of very light rains but Safdarjung Observatory failed to witness any rains. As per Skymet Weather, the reduction of rains is due to the shift of the axis of Monsoon trough towards the north of Delhi which led to the flow of dry westerly winds that eased out the rains, resulting in dry weather. Although on and off rains are going on, but these rains are not widespread and are occurring in patches, affecting isolated pockets of the city. Therefore, the weather conditions are still warm and humid, resulting in high discomfort levels. As of now, the axis of Monsoon trough has shifted further north, towards the foothills of Himalayas and this would continue the prevalence of dry westerly winds. Thus, Delhi and NCR would continue to remain dry for the next few days. 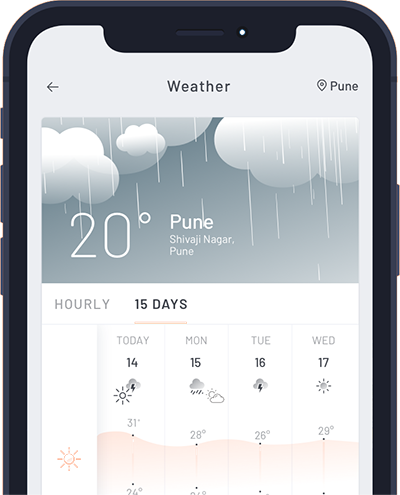 However, as the humidity levels are present in the atmosphere and temperatures are rising, thundercloud development can be a chance which may give spot showers for a short duration. In addition to this, good Monsoon rains may reappear over Delhi NCR around July 9 and 10.